Maxum Corp 175 - Is your firms Strategy driving sustainable growth? Comments Off on 175 – Is your firms Strategy driving sustainable growth? Episode 175 Is your firms Strategy driving sustainable growth? – The X Factor to help you become 10 times better than your competition! Welcome to part four on Strategy, if you are a new listener welcome to Inspiring Greatness where we interview amazing guest or share business tips on how to help you grow your business and increase profits. If you have not listened to our series yet you should start at episode 171 first. Part 1 was Simon Sinek’s golden circle understanding your WHY and core purpose. Part two identifying was operational activities can you do 3 to 5 activities that set you apart from the competition – These are process that your company uses to deliver your products or services. What makes your company different? Part 3 is all about how your company can surpass the competition! We highlight the difference between a SWOT & SWT analysis (Strengths, weakness, opportunities and Threats vs. Strengths, Weaknesses and Trends. Episode 174 we covered a strategy called Profit per X and today is on the X Factor to help you become 7 – 10 times better than your competition. I refer to this as the secret sauce. We have FREE worksheets on our show notes page for you to download. If you are stuck on your strategy, I would be happy to help. You can book in a free 30-minute call with Shelley Rogers. The X Factor is a strategy which must be discovered, defined, and acted upon to create a significant value and ultimately significant valuations within a business. As mentioned discovering your X Factor can provide a ten times advantage over your competitor. Discover Your X Factor. The X Factor concept is as old as John D Rockefeller. 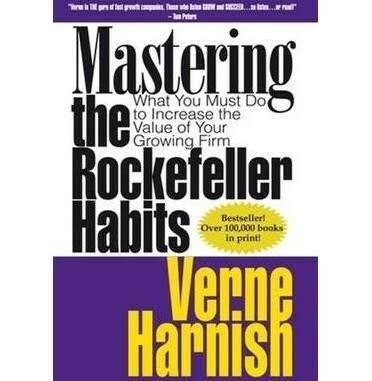 If you have not ready read the book called Mastering the Rockafeller Habits by Vern Harnish, I highly recommend it. We will have links to it on our show notes page. Many people find Rockefeller to have been ruthless in his business practices. Discovering his X Factor was an innovative that allowed Rockefeller to control the oil industry. As described in Verne Harnish’s Mastering the Rockefeller Habits, the key to winning in the oil business at that time was gaining an advantage in transportation costs. Rockefeller was heavily invested in railroads because of this. His decision to vertically integrate by producing his own oak barrels, rather than using green timber like his competitors. Having the oak sawed in the woods, then kiln dried, reduced the weight and sliced Rockefeller’s transportation costs in half. This produced a 10x advantage over his oil competitors. To discover your X Factor ask questions like: “What is the largest cost component in my industry?” or “What is the part of my industry that I hate the most?” Go to your industry trade association tradeshows – look at the breakout session topics over the last several years and look for patterns. These are “top of mind” problems for your industry, and all of your competitors are faced with the same challenges. Next begin looking for solutions that will give you an exponential competitive advantage (7-10x) for your industry. Once you figure it out, don’t tell anyone. Here is an example of how an X-Factor revolutionized not only a company, but an industry many thought was fragmented and stale. 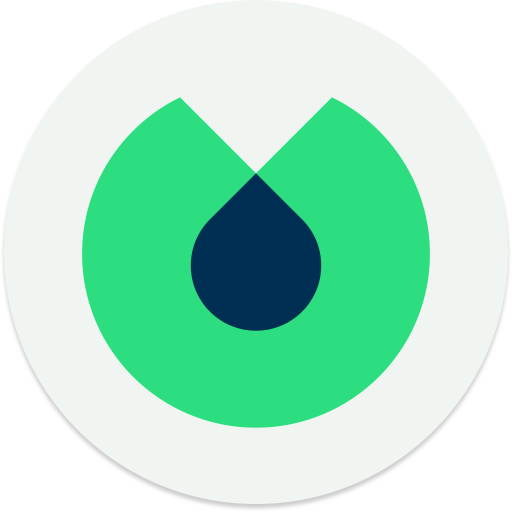 Vistaprint set out in the mid-2000s to test their belief that marketing and printing offerings could be provided to small businesses in a profitable manner; to an established industry that believed that small business printing services were not scalable. “Let’s look at another X-Factor story, this time from a small business: Happy Lawns, which was owned by Barrett Ersek. In 2001, Barrett was frustrated. His lawn care business had flat lined at $2M for 3 years in a row. He tried everything to drive sales, but nothing seemed to work. Something in the sales process was broken. It cost $300 and 3-4 weeks to acquire a customer that would spend $400 annually with Barrett’s company; and since the company’s gross profit was around 50%, it took 6 quarters (18 months) to cover the acquisition costs. While Barrett was struggling, he learned about the X-Factor and got to thinking about how to gain a significant advantage over the competition. Barrett decided that instead of focusing on the problem, he would focus on the asking the right question. He asked: How can I make the sales cycle cheaper and faster by 7-10x? He started asking everyone he knew and he finally found it. One last example One example of an X-Factor that many of us know is the Aussie-themed chain restaurant Outback Steakhouse, which was founded by veteran chain restaurateurs Chris Sullivan and Robert Basham. They had been through several difficult chain restaurant expansions and they realized that something was broken in the chain restaurant industry. Quality of food and quality people were hard to scale the larger the chain became. They started looking for a solution to the quality issues by trying to find some common element. After a significant amount of study and debate, they found their answer: They realized that the problem with the chain restaurants that they needed to fix was restaurant manager turnover. At the time (late 1980s), the average tenure for a store manager was 6 months. Better store managers improved the quality of the people that worked in the restaurant and that, in turn, helped keep the quality of the food and the customer experience high. In most chain restaurants, competent restaurant managers got promoted to area manager positions in order to make more money or they left to start their own restaurants. Big chains were spending millions to recruit/train new managers – so they realized if they could retain their store managers for more than the typical 6 months that they would have a competitive edge. After discovering your X Factor immediately begin to work on finding the next one. Your competitors will eventually figure things out (once they know you are doing it, they’ll know it’s possible and they’ll keep working until they find the answer). People work differently when they know something can be done. Therefore, start working on your next X-Factor as soon as you can after you launch your last X-Factor. X-Factors take some time to find. Solutions to complex problems that have stumped your industry for years won’t appear with just one brainstorming session. What trends will affect your business? Which will influence your business positively and which could possibly hinder your growth? Can you state your business strategy in one simple sentence? If you answered no, I suggest you book time this week with your team to work on your business strategy. Get your free worksheet on the X Factor to help you become 7 – 10 times better than your competition. If you are stuck, I would be happy to help. You can book in a free 30 minute call with Shelley Rogers. Can you state your business strategy in one simple sentence? If you answered no, I suggest you book time this week with your team to work on your business strategy. Get your free worksheets just head over to maxumcorp.com.au/podcast episode 175 so you can get started on figuring our your businesses X Factor.